Imagine waking every morning and walking out of your front door to see a landscape of mountains of plastic rubbish, streams of rotting waste and a stench so repugnant that you could catch disease with just one sniff. Not exactly the best start to the day is it? In the African slum of Kibera there is no choice for the 800,000 inhabitants but to live this way. There is no council collection to haul rubbish away each week nor a garbage tip to travel to dispose of unwanted material. Waste simply accumulates wherever there is the space to dump it, making for a pretty filthy, disease born place to exist. What a brilliant invention then, to design a facility that destroys toxic waste, heats water, help feed the poverty stricken and save woodlands. 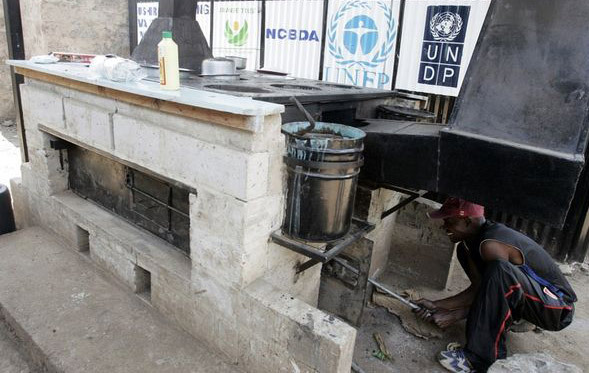 Nairobi architect Jim Archer has invented a "Community Cooker" that does just this. Rubbish is gathered, dried and then fed into a 650 Celcius furnace - hot enough to destroy toxins in the plastics. The Community Cooker has a tall chimney that carries away toxic fumes. It could reduce small rubbish fires on the side of the road that spread pungent, toxic smoke contaminating food stalls on the street. Those who can't afford kerosene for their own stoves would have somewhere to safely burn their waste, cook their meals and boil water. Cleaning up the streets would also improve sanitation, reducing diseases like cholera. Some people have to travel two weeks by donkey to collect firewood. Burning rubbish instead of wood also protects woodland and saves the tiresome journey. Although the Community Cooker is just a prototype, the Red Cross are hoping to build another 8 before the end of the year and 100 next year depending on funding. To donate simply visit the Red Cross website and follow the links.